When you take a vehicle on the road it is very important for both safety and reliability that it functions properly. This includes having the engine running, the transmission switching gears and the brakes clearly responding. 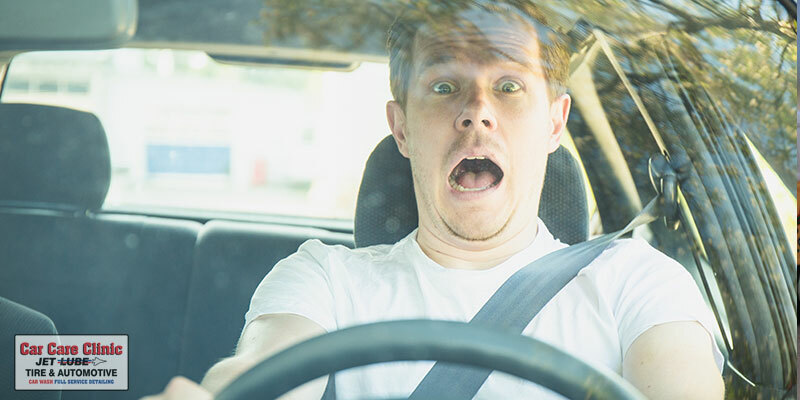 Being able to stop your car in a timely fashion is imperative to safe driving. This may seem obvious but it is important not to ignore warning lights in your vehicle. When a dashboard light is on it usually indicates a problem or impending issue. A brake light warning usually means that you are low on brake fluid—which could also indicate a leak in your brake lines. It is not normal for your brakes to squeal when they are being used. 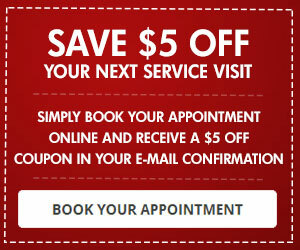 This can mean that your car needs a brake adjustment or that the brakes need to be replaced. A grinding noise coming out can indicate issues with your brake pads. It usually means that the pads are rubbing together because they are worn down. When you notice that your brakes are not being responsive you should bring your car to us right away. Being able to properly brake is a safety issue and should not be taken lightly. When you experience a lack of responsiveness there could also be an air or fluid leak, which is a very serious issue indeed. While you brake your vehicle you should not notice shaking, pulsing or excessive vibrations. This problem is an indicator of brake rotor issues or a problem with your alignment. If your car pulls to one side of the road while you brake, then you are having a brake system issue and need to take your car into a professional. This problem can mean your brakes are out of adjustment, are worn out, or that there is a leak of fluid. This is a warning sign of a possible leak, a low amount of brake fluid or that air has entered your brake lines. Get a professional (like KC Martin) on the case right away. No matter what type of brake problem you are experience the certified ASE technicians at Car Care Clinic are here to provide a free brake inspection and to help diagnose and repair the problem. During regular maintenance or oil changes we also will check your brakes to ensure that they are working correctly for you. Have additional questions about your brakes? Call us. 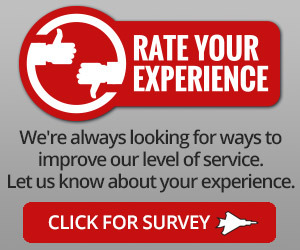 Select locations are approved by AAA for automotive maintenance and repair. 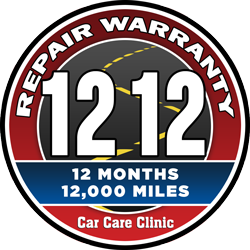 All repairs are backed by a 12-month/ 12,000 mile warranty. Excludes oil changes. 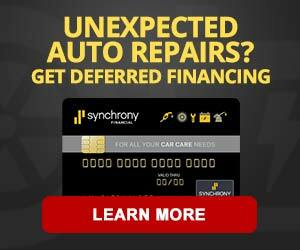 Ask about deferred financing on all major services and tires with approved credit.